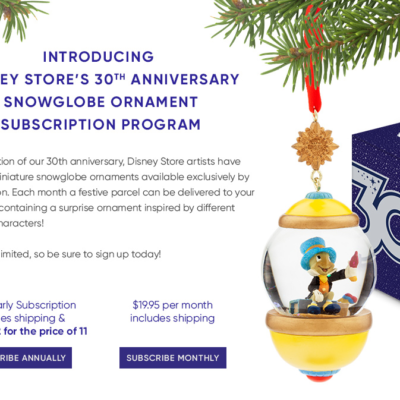 Disney Store has imagineered another Disney subscription – the 30th Anniversary Snowglobe Ornament Subscription! 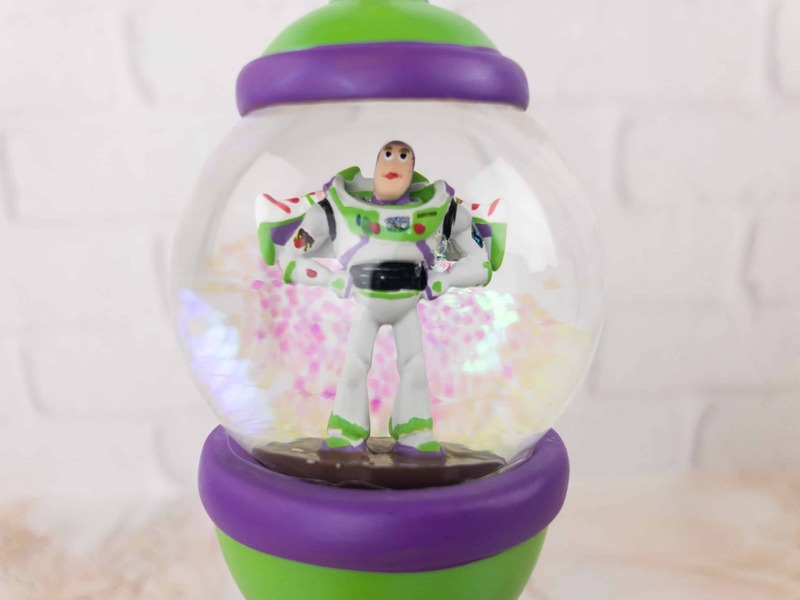 Every box comes with the latest, fully-sculptured snowglobe, featuring your favorite Disney characters, for $19.99. UPDATE: You can now order subscriptions via mobile devices now. The new layout allows you to do so. 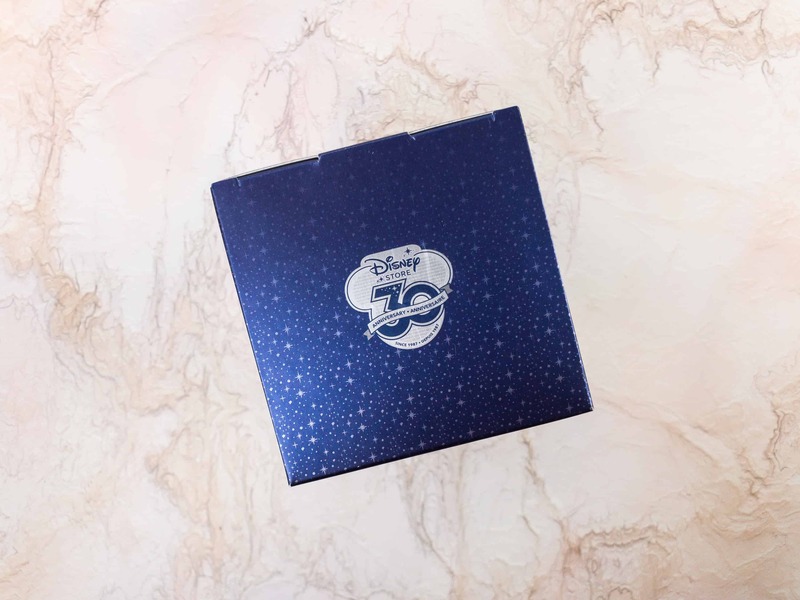 This subscription commemorates the Disney Store’s 30th Anniversary! 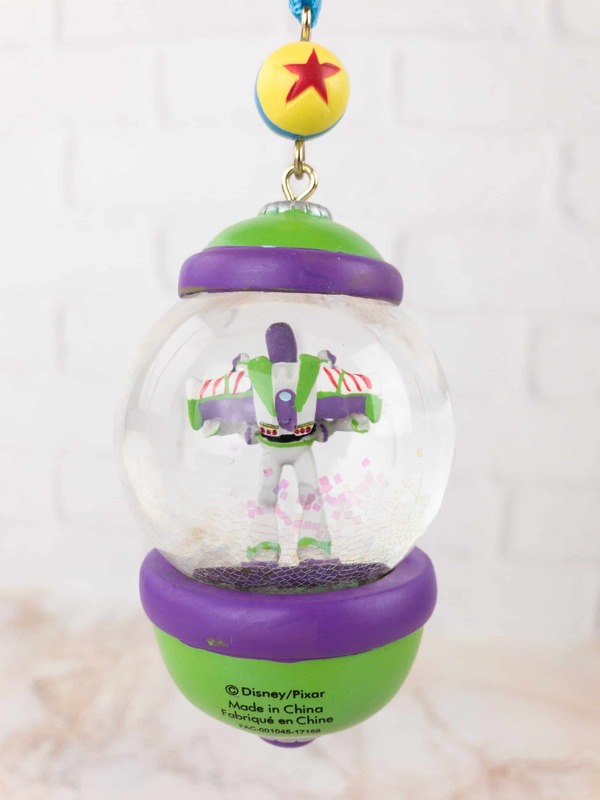 This ornament features Disney’s Toy Story’s other hero, Buzz Lightyear! 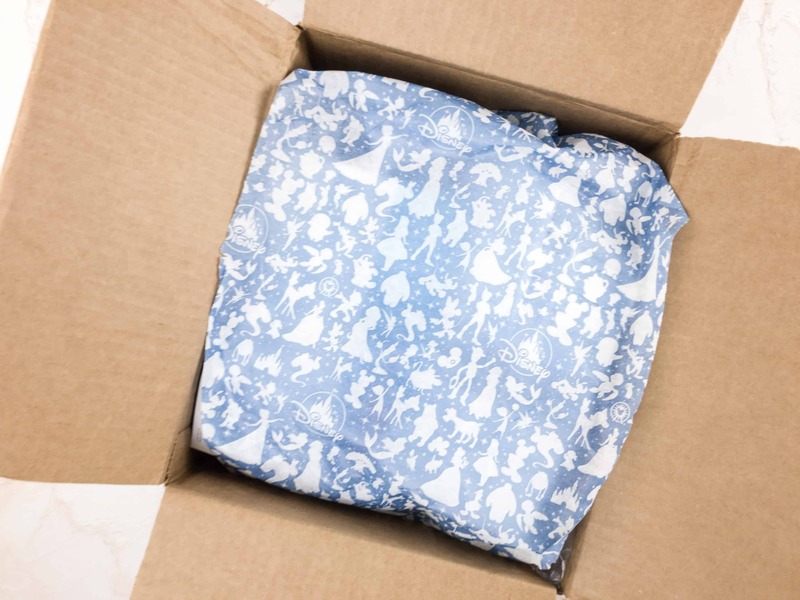 Like the Park Pack – Holiday Edition subscription, (which just ended!) 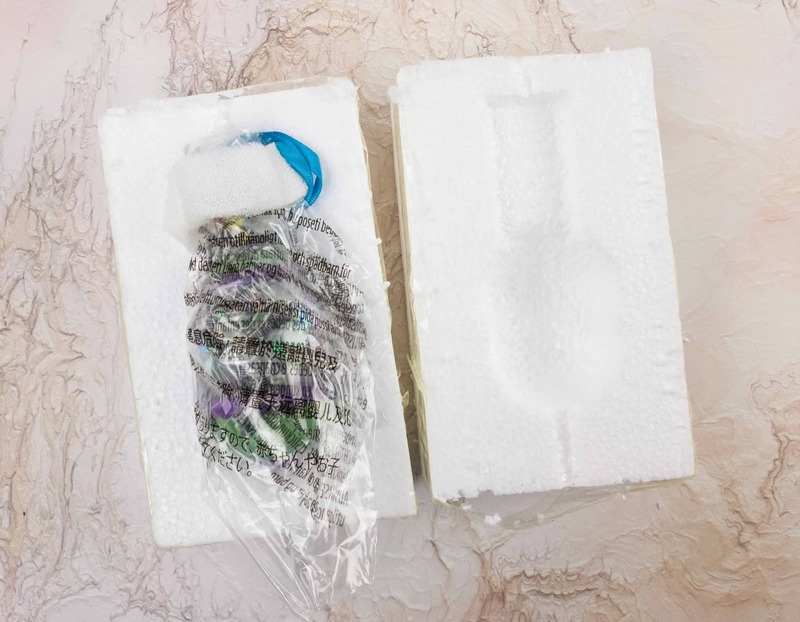 the boxes are custom-designed to hold the ornaments. These ornaments are inspired by the Sketchbook Ornament collection and are designed to capture magical moments with immaculate detail! The charm on top of the ornament is a star drawn on a ball. He’s a space ranger that’s why! All sides of the ornament are decorative, even the bottom. 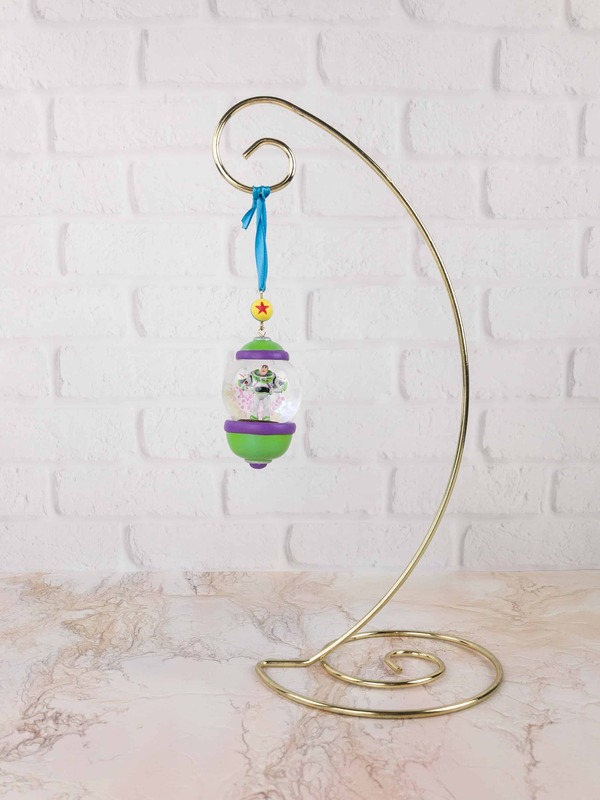 The ornament won’t stand on its own, but you could use an ornament stand to display it. We use a stand to see how the ornament hangs. 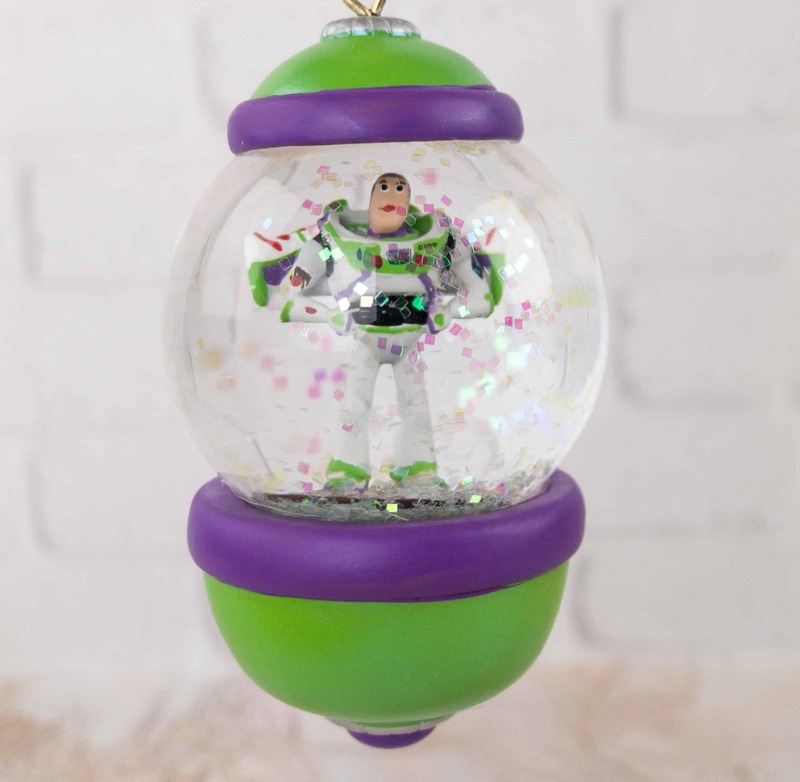 Though clearly ideal for Christmas trees, the snowglobe ornaments aren’t explicitly Holiday decorations, so they could also be displayed on stands, ceiling or shelf hooks, or racks year-round. Buzz looks fantastic on it, we can’t wait to show him off to people. He’ll be a great decor for our son’s room. On his back, there’s a jetpack with a karate chop action button, purple pop-out wings with red and white stripes, and his purple cap! Even from the back, there’s no doubt it’s Buzz. If you shake or turn it over a couple times, it becomes so sparkly! 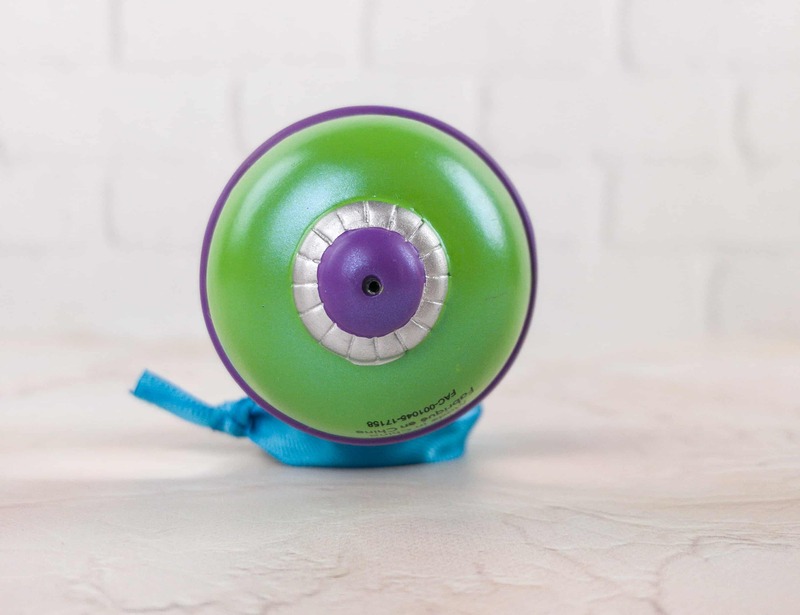 This snow globe really gives us a warm and merry feeling, also fit for the Holidays! Buzz is really a cool space dude and we also love him! We just hope Woody won’t get jealous! 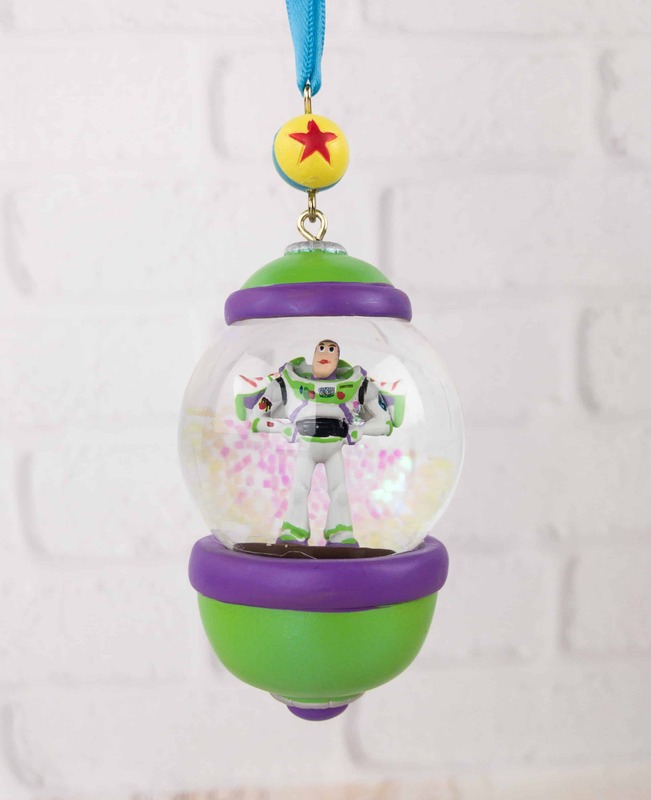 This month’s featured ornament is a must-have for all the Disney fans and collectors, as it features one of the main protagonists of the well loved Pixar movie, Toy Story. I think this monthly subscription is priced just right and is a better value proposition than any of the other official Disney subscriptions (except of course for Tsum Tsum). 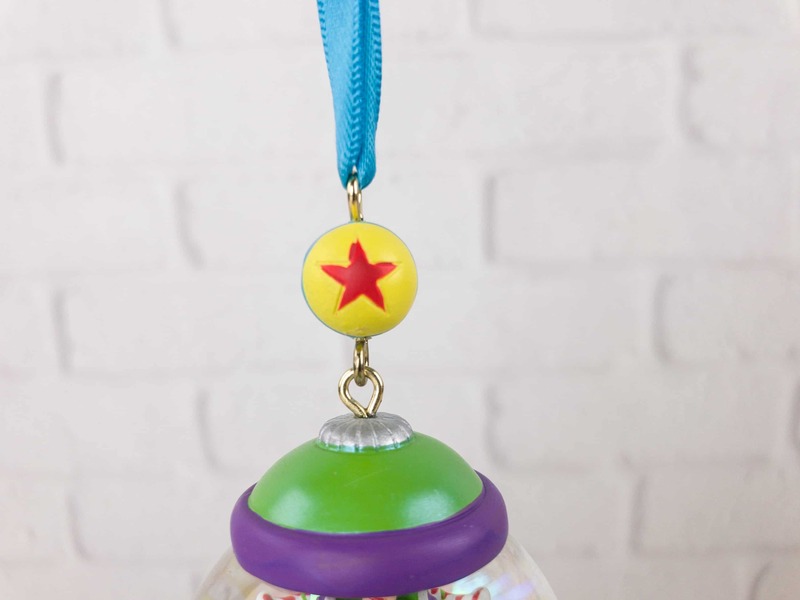 The ornament is cute, collectible, and the subscription basically promises to include the most magical Disney moments. I am happy with what I’ve got from this subscription! And I just can’t wait to show this off! 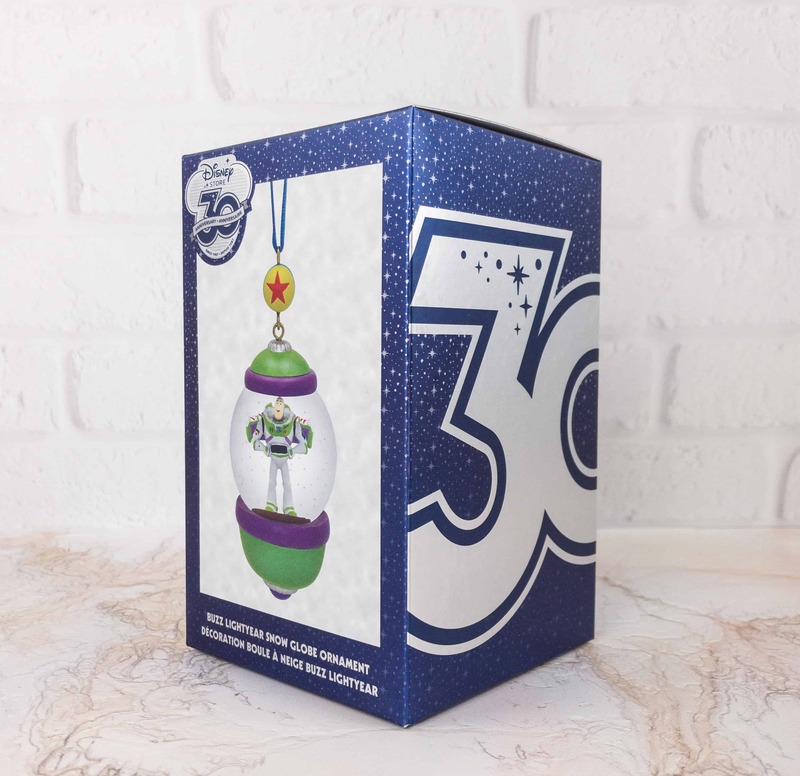 What do you think of the Disney Store 30th Anniversary Snowglobe Ornament Subscription? Your subscription to the Disney Store 30th Anniversary Sketchbook Ornament Collection will guarantee you receive the latest monthly design. 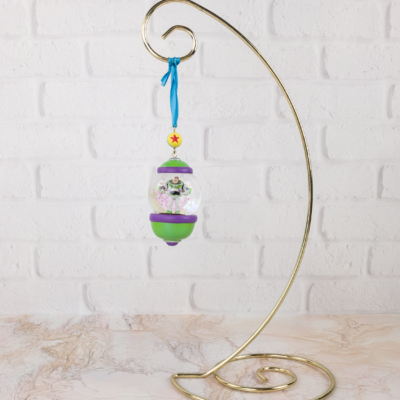 Inspired by a favorite Disney character, each ornament was created especially for members.